Comments: ‘Continuous Performance’ or ‘Continuous Show’ refers to the practice of showing films continuously, with audiences able to enter the cinema at any time, and leave at any time. The policy of the continuous show played an important part in cinema’s early popularity in the UK. 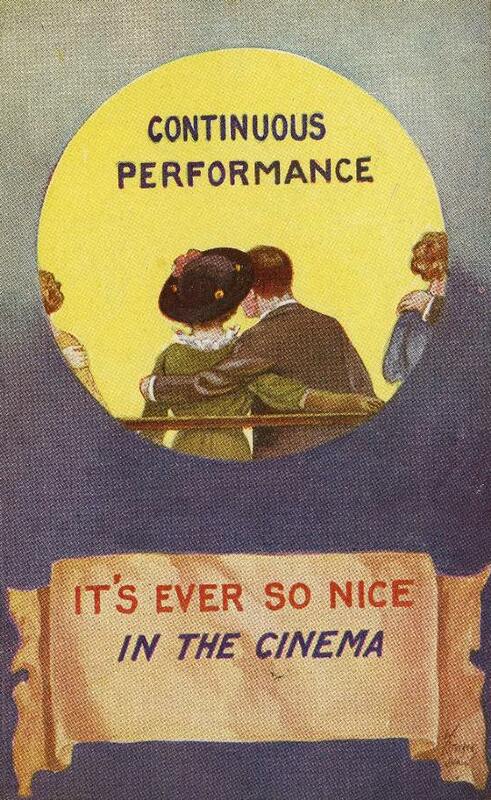 The text on the reverse of this postcard refers to cinemagoing. 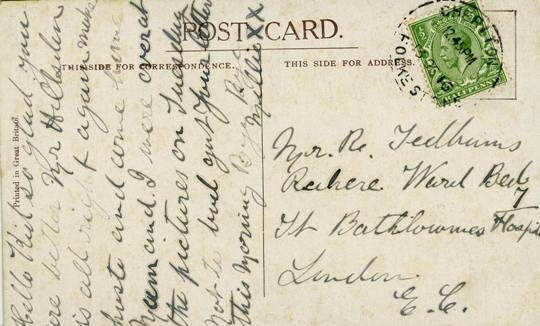 This entry was posted in 1910s, Postcards, United Kingdom and tagged Audiences, Continuous show. Bookmark the permalink.